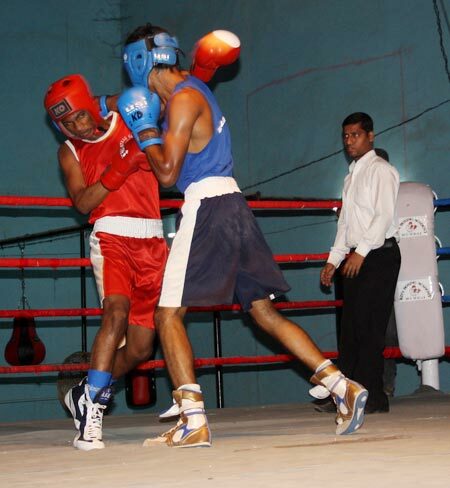 There's growing fear in Mumbai's boxing circles that negativity could engulf the sport following the death of a young pugilist due to 'compression of brain', says Laxmi Negi. It is said that we are the creators of our own destiny. But there are times when we have to stand up to the fact that few things are beyond our reach. 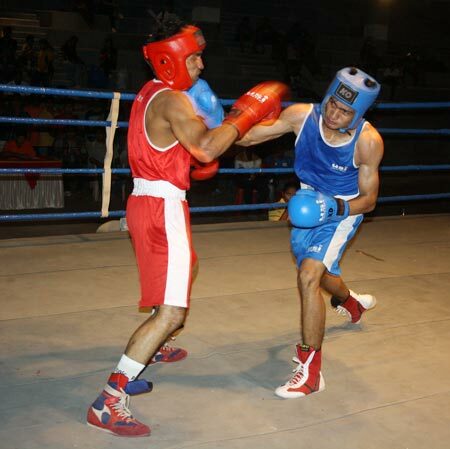 Last week, during an inter-collegiate boxing tournament in Mumbai, Sagar Patel was inching towards his dream of wining the coveted gold medal and contributing in his college's pursuit of the overall championship. He reached the pre-quarter-final stage and appeared a cinch for the title. But destiny had different plans. Same was the case of Guru Nanak College pugilist Pramod Sav. This 21-year-old had a new life ahead of him after graduating in commerce. But all his dreams were shattered prematurely as he lost his life due to 'compression of brain'. After his bout against Sagar Patel, of Wilson College, at the Kalina University campus on Tuesday, November 29, Sav lost his life after battling for nearly 36 hours in Bombay Hospital. Sav started feeling uneasy at night, much after his bout, and his friends rushed him to Sion hospital. As the hospital did not have a ventilator, he had to be rushed to Bombay Hospital. The delay caused a premature end to his life. Various theories are being attributed to the cause of Sav's death, including the postmortem report, which stated rib injuries too, but Mumbai Boxing Association chairman Rajan Jothady claims, "In my 35-years of coaching experience, I have never experienced such an incident. "Boxers have been hospitalized due to cuts, bruises or dislocation of joints, but never for such complicated situations." An aghast Jothady further explained: "During the bout there were no heavy blows exchanged; it was not even a high-scoring bout. I am perplexed!" But, even as the Mumbai Boxing Association ponders the tragedy in the ring, Patel is having sleepless nights. The 20-year-old second year Science student was shocked on being informed just before his quarter-final bout about Sav being hospitalized [on Wednesday, November 30]; even before he could not throw a punch at his opponent, he conceded the bout and went into a shell. The news of his opponent in the previous round of losing his life put him into media glare. Mustering courage, he just attended college for his practicals the following Monday, unsure whether he would return to the ring. Images of Sav, he says, are haunting him. Boxing, as a sport, resides at the 50th position in the safety rating. There is protective equipment, like the head guard to protect boxers from heavy blows; mouth guard to protect the teeth, gums and tongue. At the amateur level, the gloves used are heavily padded, so the impact of the punch is minimized. 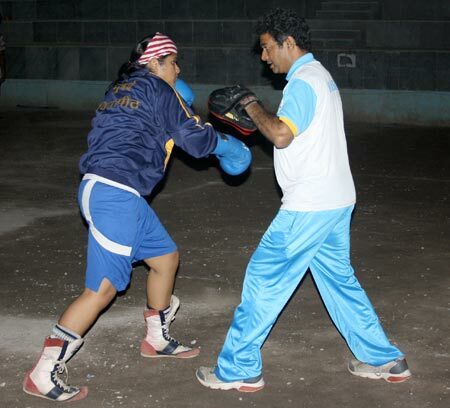 In the wake of Sav's death, the Mumbai Boxing Association will have to brace itself for more stringent rules. Though a doctor is always at the ringside to check for bleeding, any discomfort of the boxer is always brought to the doctor's notice. Even a referee can stop a contest if he feels one of the boxers is uncomfortable. Jothday says, "From now on we have proposed a blood and other tests for the boxers at their respective clubs. "We will suggest that the coaches should be made accountable for the fitness of the boxers. Until and unless they are not fully physically fit they should not be allowed to enter the ring." With the news of a boxer losing his life, there now is a growing fear in Mumbai's boxing circles that negativity could engulf the sport, though Advait Kapileshwari, a sport psychologist, puts the speculation to rest, saying, "People who get scared do not box and people who box do not get scared." Tall claims, maybe, but when 18-year-old Khalda Wali comes to her coach glowing more than the gold medal she was holding in her hand, there is hope. Though her family did show concern about the boxer losing his life, she is quick to declare that her parents will not stop her from entering the boxing ring. "I have been boxing for the last three years now and I am a state champion. They know it's my dream to go for the Olympics. They will help me pursue my dream." If destiny has its way, hopefully, the teenager will overcome the pitfalls that come with the sport and realize her dream.